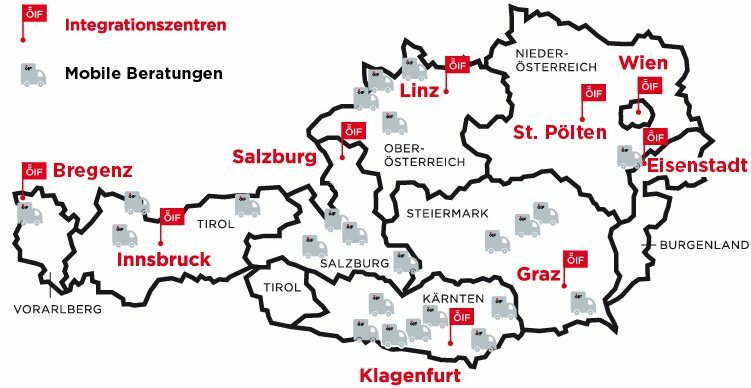 The ÖIF offers immigrants throughout Austria support with integration issues through integration centers in several state capitals as well as mobile counseling programs in towns. The ÖIF site www.sprachportal.at makes it possible to learn German around the clock for free with exercises and videos on topics relevant to daily life as well as interactive podcasts. The ÖIF offers classes in German for specific purposes and job-specific German. The offer focuses on the needs of immigrants in order to foster their success in education and at work. In order to help immigrants take advantage of their credentials acquired abroad, the ÖIF provides instructions on the recognition process for over 1,800 professions. Are you well qualified and would like to explore new contacts and job opportunities with an experienced mentor?